The World is Yours! Happy Graduation! I stopped by Senior Awards Night on Thursday where hundreds of awards and scholarships were granted to members of the Marshfield High School 2012 graduating class. I wasn't the only person to well up with civic pride for the students, parents, schools, teachers, staff, relatives, friends and organizations that helped nurture our accomplished kids along the way. I've known a few of today's graduates for many years. Others I've only met more recently. Some endured unique obstacles. Some were exposed to more opportunities than others. All leapt over some hurdles. Each had his or her path to carve. Growing up in the era of an overabundance of choices - from extracurricular activities to technological distractions to consumer products and cable stations - these honored graduates each had to listen to a calling, heed it and apply discipline, intelligence and dedication to answer it. Most of them probably haven't found their penultimate calling. Yet in joining the standing room only admirers at awards night I knew these graduates had tried and succeeded in many areas. Even though range of accomplishments honored was astounding, what was just as important was the way our newest graduates conducted themselves and supported each other. I love that so many awards mentioned good citizenship and school spirit. I love that more than 60 seniors had perfect attendance for at least one year of high school; it says a lot about the dedicated educators forming tomorrow's leaders. That so many local businesses and organizations raised and contributed scholarships to help further our kids' education says a great deal about the town in which these students were raised and the values our graduates will carry with them throughout life. 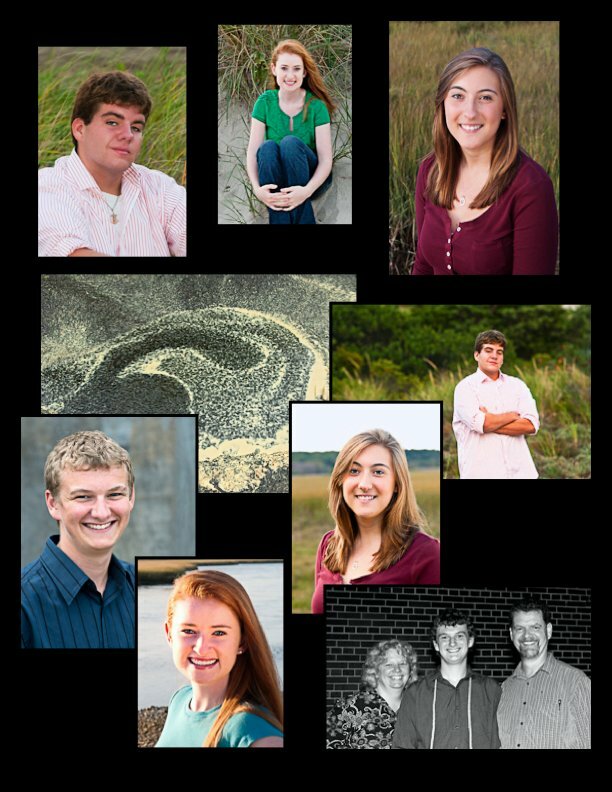 Even though I didn't actively solicit high school seniors for yearbook photos this year, I did photograph a few friends and neighbors. I was proud, but not surprised, to see each of them receive at least one award this week. Knowing them and knowing their families leaves me confident that our future will be in great hands and with great hearts. Congratulations to graduates everywhere and the many people who helped them realize their goals. It takes a village and we live in a wonderful one. Good luck with our world, your world. There's a lot of beauty and goodness there - even when it's made of puddles and pollen.